Posted on April 8, 2019 Categories ElectionsLeave a comment on Who will you Vote for? Does the election expenses limit have any meaning? The Indian government has cleared a proposal by Election Commission to increase the expenditure limit for Lok Sabha elections to Rs70 lakh from Rs40 lakh per candidate in big states. But does it have anything to do with the reality? During the last general election, about 129 members of Parliament (MPs) spent less than 50% of expense limit. This raises a question on the need to increase expenditure limit without taking into consideration the blatant misuse of black money in elections. 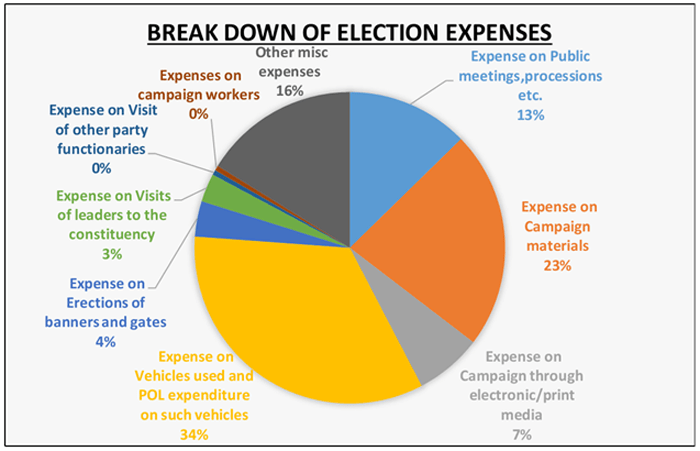 Posted on March 5, 2014 March 5, 2014 Categories Elections1 Comment on Does the election expenses limit have any meaning?